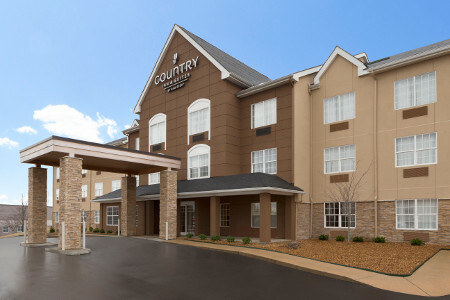 Ease off I-40 and check in to the Country Inn & Suites® by Radisson, Jackson, TN to enjoy a peaceful night near downtown attractions and businesses. 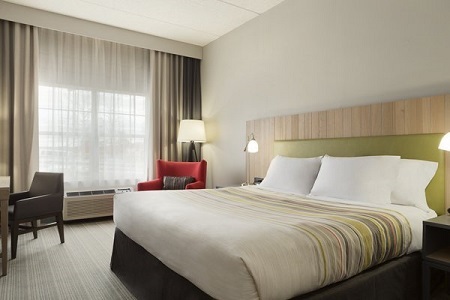 Relax in one of our well-equipped rooms before attending a convention at the Carl Perkins Civic Center or taking a campus tour of Union University. Traveling with a sports team? Our hotel is less than 10 minutes from the West Tennessee Healthcare Sportsplex, home to baseball and softball fields. 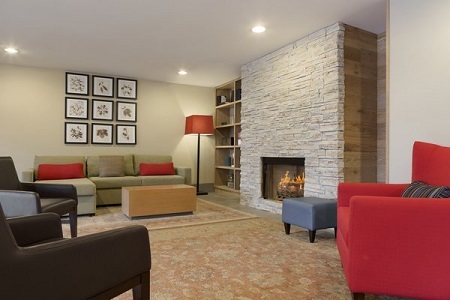 After an action-packed game or a long meeting, unwind in our contemporary lobby featuring a fireplace and comfortable seating. Need extra space? 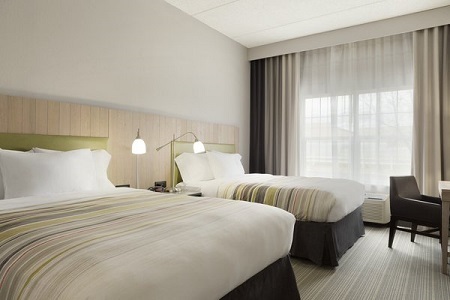 Book our Studio Suite to enjoy a king bed and a sleeper sofa. 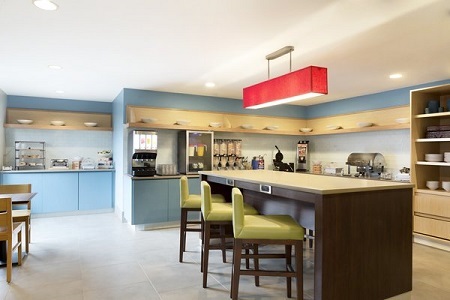 Help yourself to an array of delicious dishes at the complimentary, hot breakfast, served in our brightly colored dining area. For lunch or dinner, you can walk next door to Moe’s Southwest Grill or drive a short distance to one of the other nearby dining options. West Tennessee Healthcare Sportsplex – Sports teams appreciate being near this complex featuring 17 baseball and softball fields. Your team can easily be on time for every game since the fields are less than 10 minutes away. Carl Perkins Civic Center – Attend concerts, trade shows or conventions at this multipurpose arena about 10 minutes from the hotel. The center is home to the Miss Tennessee Scholarship Pageant, The Jackson Symphony and Ballet Arts, a local youth dance company. International Rock-A-Billy Hall of Fame Museum – Browse the collection of old photos and memorabilia for an entertaining glimpse of the lives of rockabilly icons like Carl Perkins and Billie Holiday. The museum even offers line dancing classes and live music on select evenings. Our hotel is conveniently close to downtown offices, McKellar-Sipes Regional Airport (MKL) and trade shows at the Carl Perkins Civic Center. We also offer a 24-hour business center and two meeting rooms ideal for hosting corporate events. To ensure presentations unfold seamlessly, we provide free Internet access and on-site catering.